These are various tool heads that have been designed to be mounted on hydraulic arms for use in different types of maintenance work on the roadside. The branch-cutters are used for pruning hedges and trees. 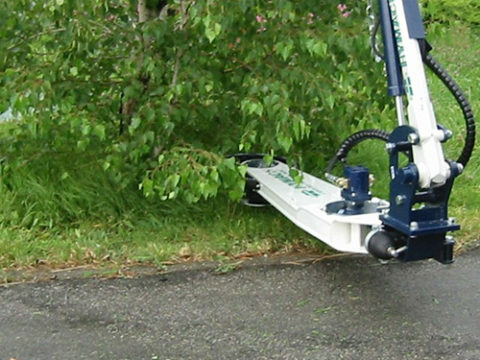 Branch-cutters for the maintenance of hedges and public and private areas, suitable for cutting bushes and trees. With devices for regulating their range and independent pressure devices, they can be mounted onto any apparatus with an articulated arm. 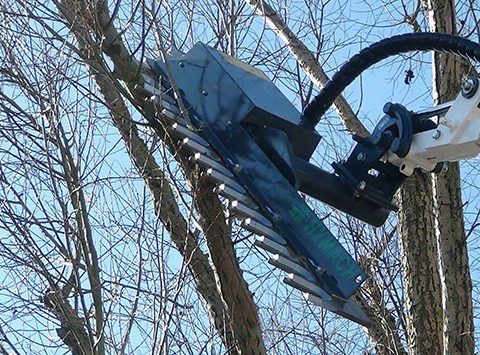 Consisting of two toothed blades, made from wear-resistant steel, of which one is mobile and the other is fixed, it has a special anti-blocking mechanism that allows cutting of all the branches that enter the cutter without it getting jammed. 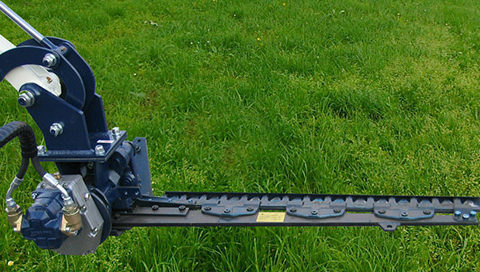 Slope mowers. 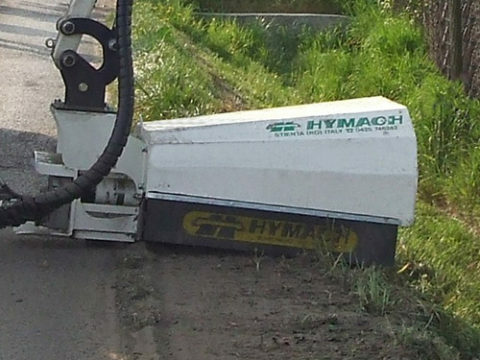 They are characterised by their significant cutting width and by the shape of the palette which allows you to tackle slopes with material that has settled over time or with small stones and rocks, bringing them back to a level that is lower than the road to allow the normal run-off of rainwater. The rotor is mounted on a cantilever and the external side remains completely free to get rid of the scraped-up material and avoid build-up inside the head. Ditch mowers. 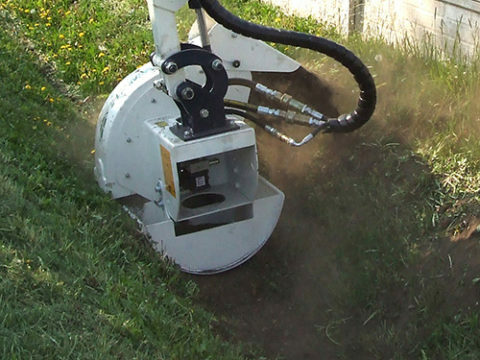 The head, thanks to the 6-palette rotor, is able to remove sediment in ditches, cleaning the bottom and bringing it back to its original depth. The removed material is deposited on the edge of the ditch, thanks to the adjustable directional carter. Vacuum heads. 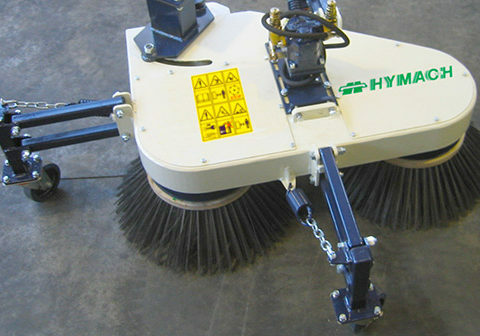 These are interchangeable with the shredders of machines equipped with a vacuum system. 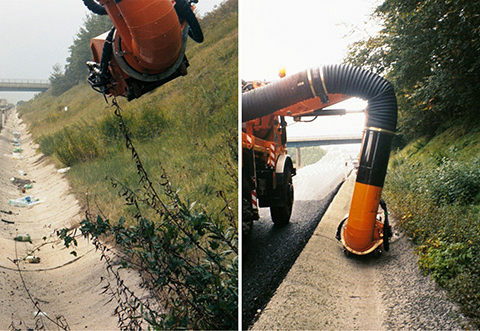 They collect different materials (leaves, including those stuck to the ground, bottles, cans, plastic bags, various wrappers, even if mixed with gravel, stones and mud), keep roadside drains clean and in an optimum state of efficiency, remove rubbish from pavements, lower roadside slopes by removing fallen vegetation and compacting the ground, etc.